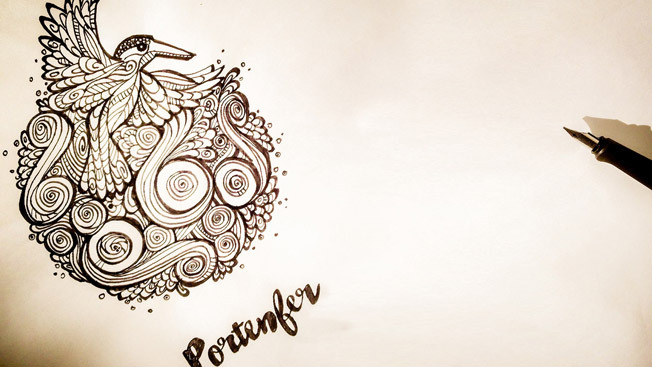 When local surfboard shaper Mike approached me to create and ident for his new surfboard brand Portenfer Surf Co., I jumped at the opportunity. Being a keen surfer myself, it was a total dream job. Mike wanted the brand to have a retro feel, reflecting the type of boards and ethos the company has. 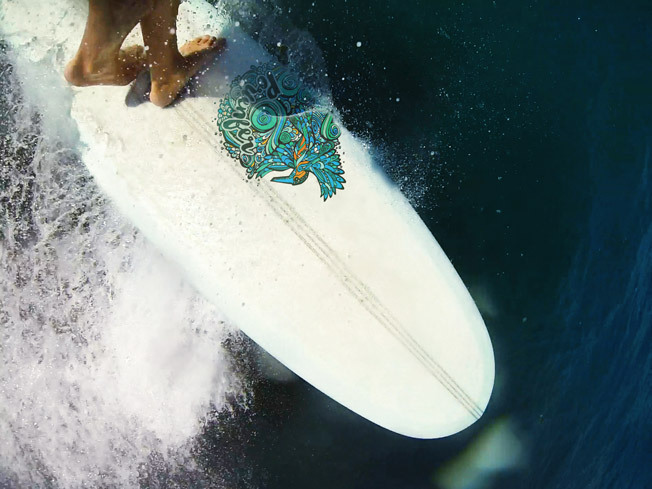 I took inspiration from surfboard shapers like Tyler Warren, Donald Takayama and others you can see on my mood board here. 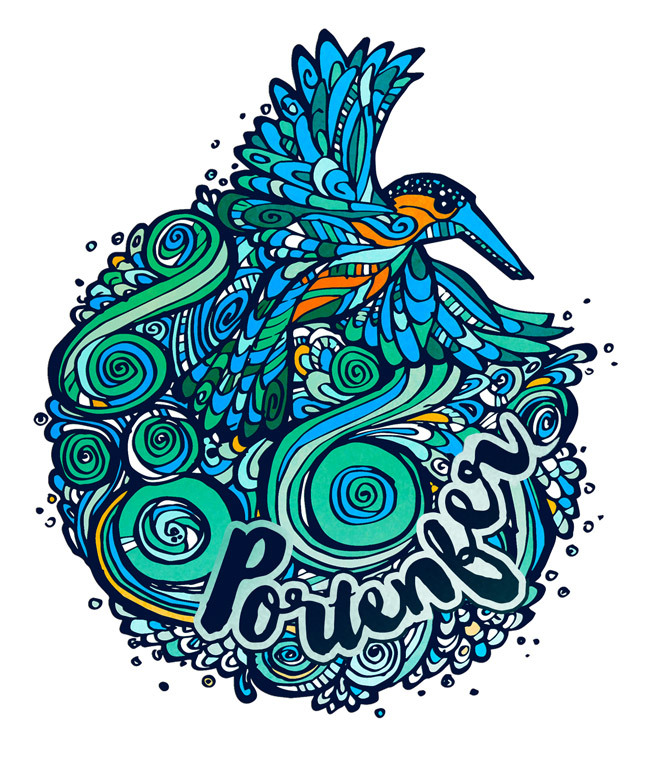 The name Portenfer (French) is taken from the Guernsey surf break Portinfer (Guernsey French) which translates as Hells Harbour! Mike wanted a less dark icon for his brand though and we took inspiration from the local wildlife. Not many people know this but there are actually Kingfishers nesting at Portinfer. We decided that would be a nice, striking icon to peg the brand on. I’m very pleased with the results and I can’t wait to see the ace surf crafts Mike creates in the future.